HomeGreat seeing you at ASI Show! Great seeing you at ASI Show! It didn’t take “Your Message Your Way” long to make a big splash. 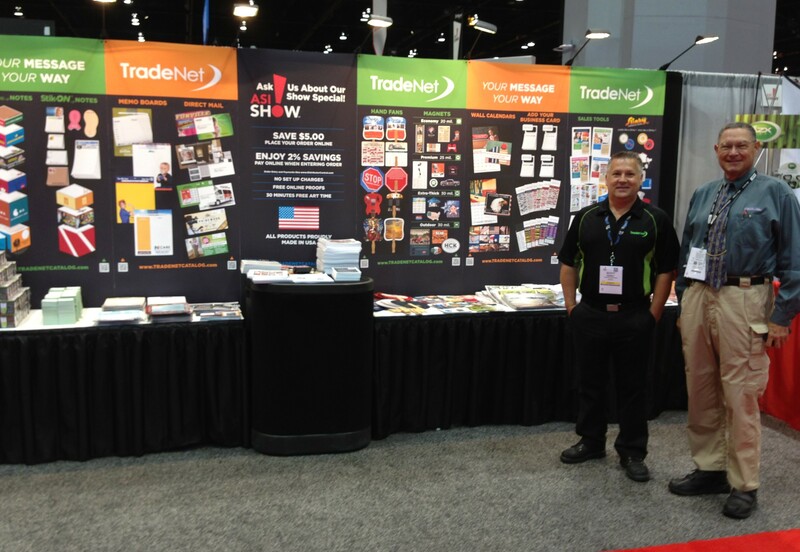 The slogan was well received by the scores of distributors of promotional products who stopped by TradeNet’s exhibit at the 2013 ASI Show in Chicago. The ASI Show was a grand success from TradeNet’s vantage point. It’s always great to make face-to-face connections with distributors regardless of their familiarity with TradeNet’s product lines… which most were. Making the ASI Show unique was being able to introduce preview copies of TradeNet’s upcoming full-line catalog and the ability to for distributors to make the catalog their own under the “Your Message Your Way” banner. For those who stopped by, we’ll soon be sending out the catalogs, samples and other information you requested. Happy to do so! Next stop for the “Your Message Your Way” program: SAAC Show in Long Beach on August 7-8.